Happy Monday! I hope you had a wonderful weekend doing whatever it is that you love. 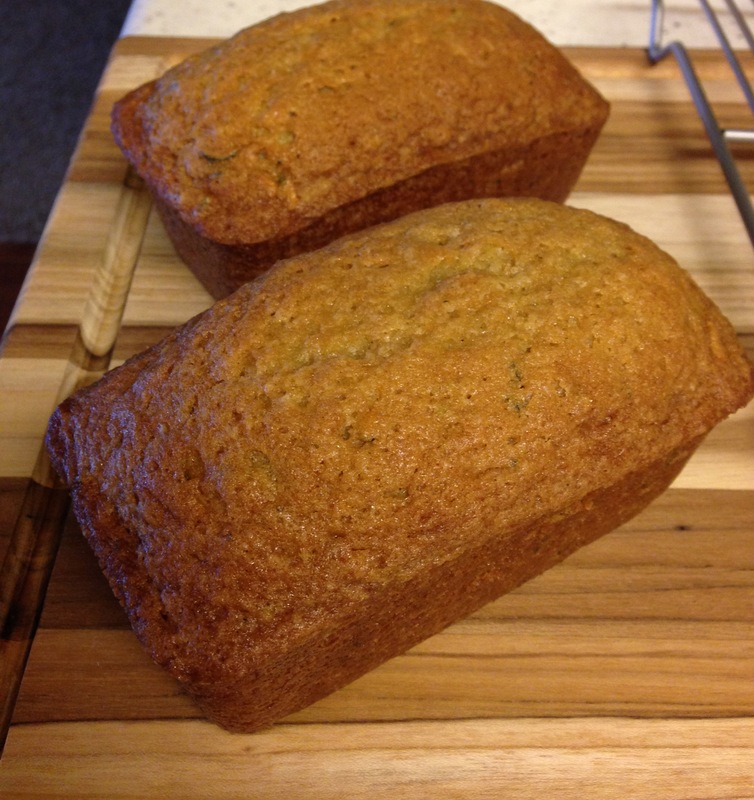 I spent my weekend camping, relaxing, and making enough zucchini bread to feed a small country. One of our friends harvested a huge zucchini from his garden and gave it to me- It was one of the largest zucchinis I’ve seen! 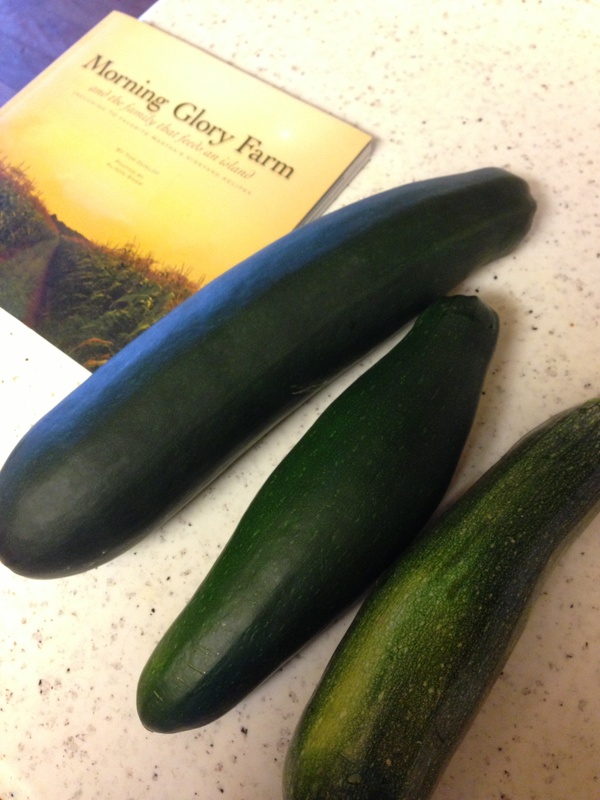 Unfortunately, once zucchinis get that size they are not as tender and delicious to cook with but they are still great for making zucchini bread. Morning Glory Farm on Martha’s Vineyard is notorious for their zucchini bread and since I was having a small case of FOMO (fear of missing out) after seeing all my friends and family enjoying a beach picnic OTV, I pulled out my comfort cookbook and made some zucchini bread, which allowed me to briefly pretend I was on the Island. I normally enjoy my zucchini bread plain or with a little cream cheese but the idea to make honey butter came to me and I thought zucchini bread and honey butter would make an amazing combination. I was right. Turns out honey butter is good on EVERYTHING! I took some of the honey butter and made french toast with it this morning. I used a little in the pan to cook the french toast. 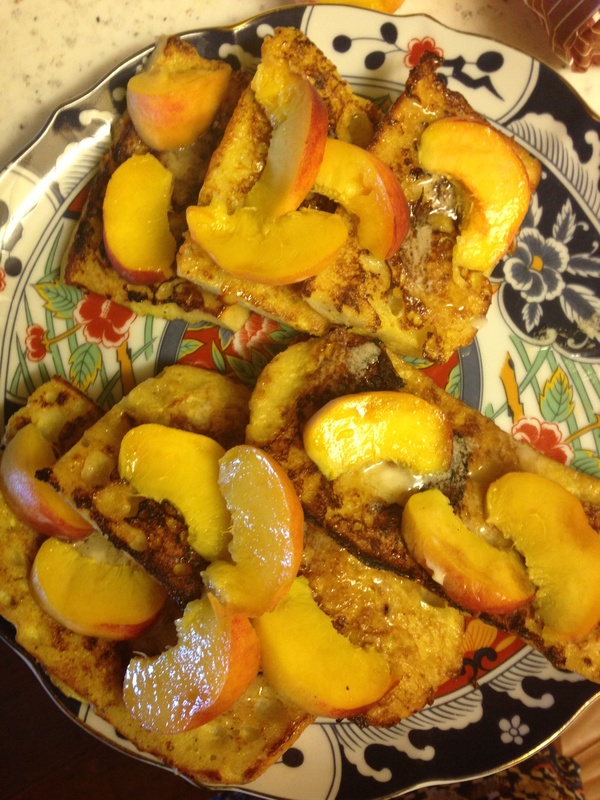 I topped it with some fresh peaches and some more honey butter instead of maple syrup… It was heavenly. 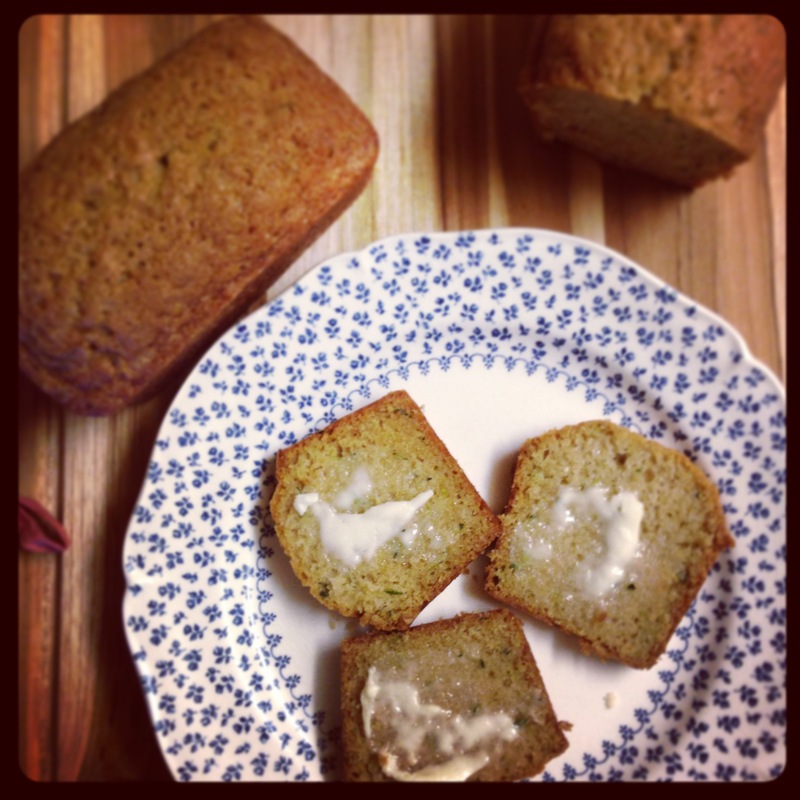 I love this recipe for zucchini bread because its light, simple and totally delicious! The hardest part about this recipe is waiting for it to cool down before enjoying it!! Preheat oven to 325 degrees. Spray two 9″x5″ bread pans with nonstick spray. In a large mixing bowl, combine zucchini, oil, eggs and vanilla. Mix thoroughly. Once liquids and sugar are well mixed, add dry ingredients. Mix until batter is well blended and even in texture. The batter should be smooth, outside the zucchini shreds. Bake for approximately 1 hour or until bread is brown and springs back when gently pressed in the middle. Place butter in microwave safe bowl and microwave on high for 15-20 seconds, so the butter is very soft but not melted. Using an electric hand mixer or kitchenaid mixer beat on low speed until thoroughly combined. 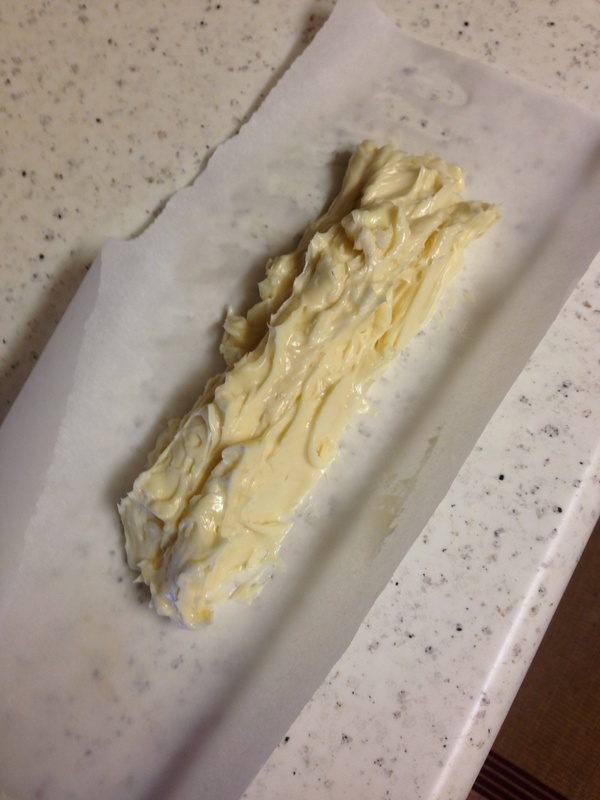 Using a rubber spatula scoop butter onto a large piece of parchment paper or plastic wrap and roll into a log. Refrigerate for 2 hours. Serve on zucchini bread, french toast, pancakes or just about anything! Enjoy! 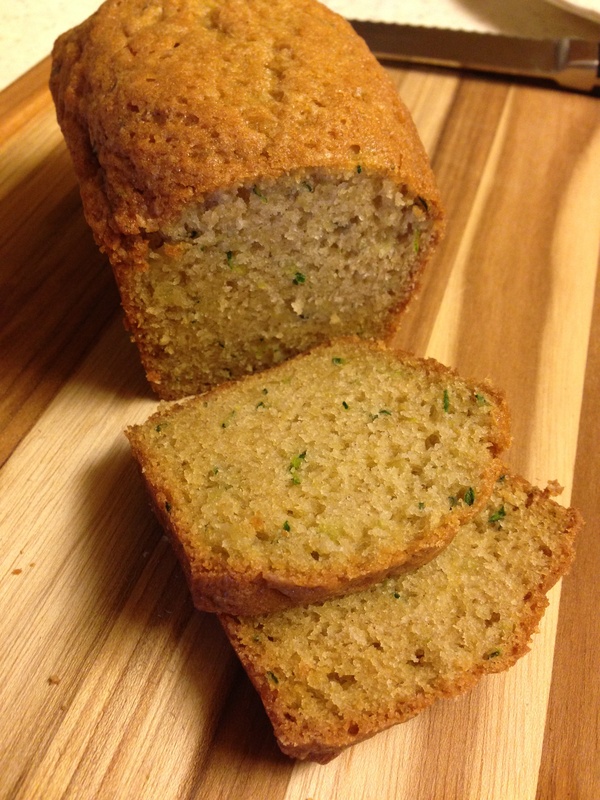 This entry was posted in Baked Goods, Breakfast, Family Favorites, Recipes and tagged honey butter, Martha's Vineyard, Morning Glory Farm, Zucchini, zucchini bread by skibootsinthekitchen. Bookmark the permalink.